Mr Michael Swinn carrying out a microsurgical reversal of vasectomy. 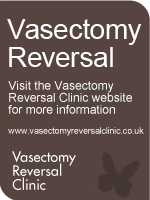 What is reversal of vasectomy? Around 4% of men undergoing a vasectomy subsequently need for it to be reversed. 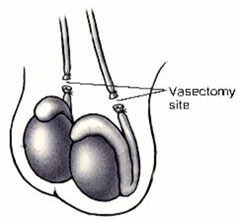 The reversal operation involves finding the site of the previous vasectomy on both sides, removing any scar tissue and delicately joining the two cut ends together. 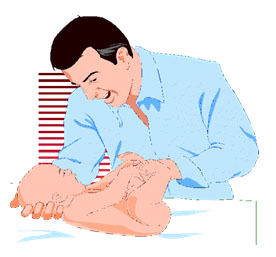 What techniques for reversal of vasectomy are there? 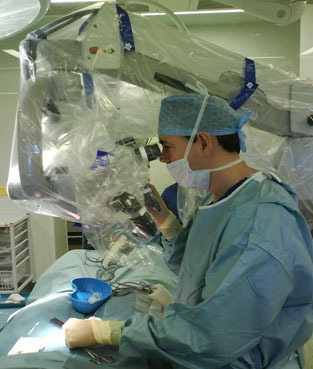 using an operating microscope to achieve a microsurgical anastomosis. It is very clear from a variety of studies that the best way of doing a reversal of vasectomy is by achieving a microsurgical anastomosis (join) by using an operating microscope. 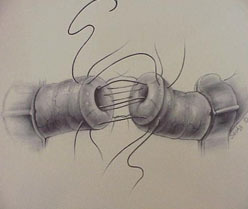 However, the technique is all important and outcomes depend also on the training and experience of the surgeon. It is important to choose a surgeon who has undergone an extensive period of training in microsurgery. A surgical success is defined as the presence of viable spermatozoa in the ejaculate postoperatively. In my own series, the success rate is 90%. In my own series the average operation time is 2.5 hours. Patients normally stay overnight and go home the following morning. Approximately 3 months after the microsurgical reversal of vasectomy is the optimum time to check the sperm count. This is arranged on discharge with an outpatient appointment shortly afterwards to discuss the result. Do I need a referral or even an appointment first? I am happy to accept referrals without a letter from the GP. An appointment before surgery is required so that a full discussion of the procedure together with alternative treatments is discussed. The initial consultation is £150. Please make an appointment at Gatwick Park Hospital (see details on “contact” page of website).